What’s special about Century 21 agents? The Internet and our real estate professionals when buying or selling a home. Century 21 Woods to Water Realty agents can help improve your overall experience and provide the guidance to reduce stress, save time, and make you a savvy, successful consumer. Learn more about Our Agents below. Many have grown up in the Hayward area, and many have been here for years. 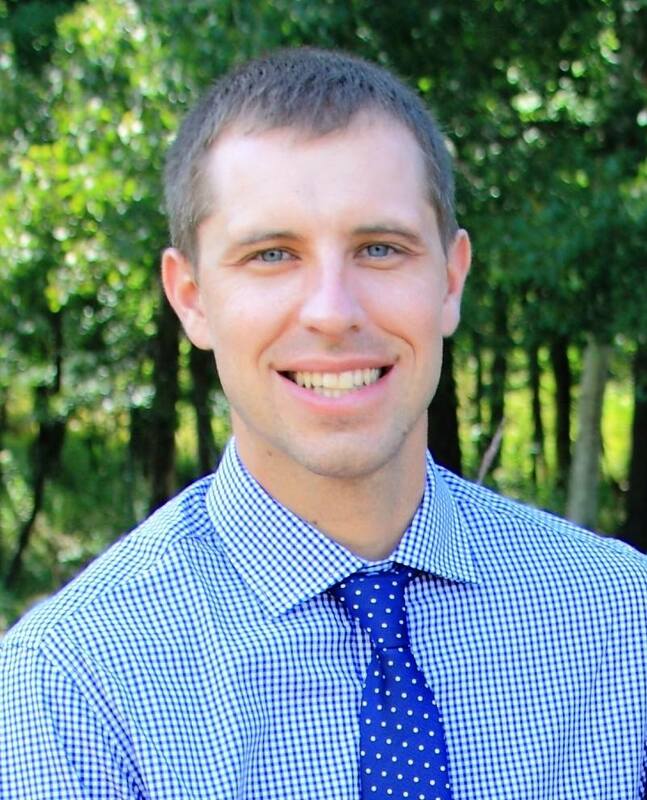 Dustin began his career as a real estate agent in 2006 having previously traveled the country for several years as a national lumberjack champion after graduating college. In 2007 his real estate career took a leap forward when he and his wife, Salle, purchased Century 21 Woods to Water Realty. As the new Broker/Owner it was his goal to complement his natural technical savvy with a strong foundation in business and finance as related to the real estate market. Dustin is a high-energy, fiscally-conscious and goal-driven business owner who approaches each new business challenge with his intrinsic flair for innovation and creative problem solving. Dustin prides himself on being up-to-date with the latest technology in this industry and maintains a strong presence on social and media platforms. His dedication to helping buyers and sellers achieve their real estate objectives is evident in the day-to-day management of Woods to Water Realty. Having grown up in Hayward, Dustin has a good understanding of the local economy, area neighborhoods and schools, and county and zoning regulations. He has developed a sound foundation in marketing strategies, banking and mortgage expertise. He and Salle have three children, and the family enjoys skiing, fishing, hunting, boating and camping together in the Hayward area. Dustin is the recipient of the CENTURY 21® Centurion Producer Award, and the office regularly receives the CENTURY 21® Quality Service Award. He also was an appointed and elected representative on the CENTURY 21® National Brokers' Communication Congress, committed to improving professional competency and productivity among brokers and offices in the franchise system. 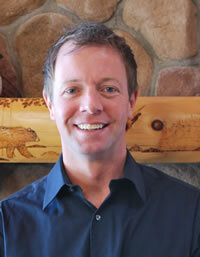 Sam has been a Wisconsin Licensed Realtor since 2005. Sam prides himself in being tech-savvy in an ever-changing and technology and Internet driven real estate industry. He continues to gain knowledge that will better him as an agent and will also benefit his customers and clients. Sam has obtained the Accredited Buyers Representative (ABR) certification, which gives him the knowledge and skills to effectively represent a buyer in a real estate transaction. He has also obtained the Internet Professional (e-PRO) certification, which is specifically designed to make real estate professionals thrive in the competitive world of online real estate. Sam is proficient with technology, social media, and Internet advertising; he incorporates these into his profession to better serve his customers and clients. Sam graduated from the University of Wisconsin Stout with a Bachelor's Degree in Technology Education. He and his wife Mara have three children. He enjoys working and playing in the north woods. Biking, hiking, skiing, snowshoeing, hunting and especially fishing are some of Sam's interests. Having spent countless hours on area lakes, Sam has the knowledge that can benefit buyers when searching for the lake that will best fit them before deciding on the perfect lake property. Jim is a Twin Cities native who has had cabins on Lost Land Lake and Spider Lake in the Hayward area since 1977. Smitten with cabin life in the Hayward lakes area since boyhood, he regularly takes advantage of all the area has to offer, including hiking, golf, fishing, biking, skiing and snowmobiling. In 2000, after a 20-year career at American Express Corporation, Jim saw an opportunity to move to the Hayward area and help others pursue their dreams of having a cabin in the north woods of Wisconsin. Jim is co-owner of a successful Hayward area design studio. Through his work as an interior designer, he has become expert in all things “cabin” and is able to help his clients create the perfect north woods retreat. Jim's professional experience with custom home design, architecture and project management, his partnerships with local craftsmen and his knowledge of the unique homes and lakes of this area make him an excellent partner to help you find and create your cottage, cabin or lodge. Together with the outstanding team at Century 21 Woods to Water, Jim invites you to let us help you with all your northern Wisconsin real estate needs. Billie Jo Sabin took on a new career challenge in the summer of 2015 by joining the real estate profession in Hayward. The change was a great decision for her, as she has lived in the Hayward area her whole life. Billie Jo truly enjoys helping clients sell their existing home or find the perfect property to buy. Prior to real estate, she worked for the Hayward Community Schools for 18 years and at a furniture retail and design firm for 14 years. She and her husband are invested in the Hayward community as the business owners of a local landscaping company. Billie Jo and her husband Pat are very blessed to have been able to raise two sons in these beautiful north woods. 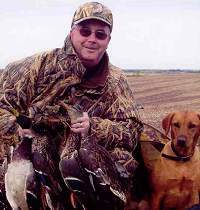 They are an outdoor enthusiast family who enjoys snowmobiling, fishing, skiing and hunting. With her extensive knowledge of the area, and cumulative work experience, Billie Jo has an edge in the competitive market for helping clients achieve their real estate needs. Collaborating with our outstanding team at Century 21 Woods to Water Realty, she invites you to let her help you with your next real estate needs! 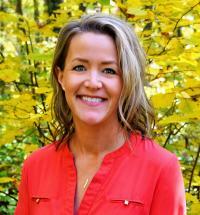 Terry Duffy comes from Rochester, Minnesota, where she was previously employed at Mayo Clinic. She and her husband Sean, along with their son Jordan, moved to their cabin in the Hayward area as permanent residents in 2006. In the years prior to that, they owned various vacation properties around Birchwood and Hayward, where they spent their weekends exploring the area, fishing, snowmobiling and ATV riding. This variety of recreation prompted them to move to the area on a full-time basis. Terry took her passion for real estate to the next level by becoming a sales agent in 2010. She understands the excitement of "heading to the cabin" or "heading to the lake" and finds great joy in helping buyers experience that excitement. As a full-time agent, she is available to assist buyers and sellers alike and stays on top of the local market, lender rates and programs, as well as the ever-changing technological and social media aspects of real estate today. Kathy Snyder moved to Stone Lake in 1998 from Milwaukee. She and her husband Mike own Pine Ridge Restaurant on Big Sissabagama Lake. Kathy became a real estate broker in 2009. As a professional real estate broker, Kathy's main focus is client satisfaction. Whether it's finding a home or helping you get the most out of your home, she is here to guide you. Ongoing communication, personal contact, market updates, and staying on top of the sales process provides the best possible experience for both buyer and seller. Kathy strives to maintain a long-term relationship with her clients, to always exceed expectations, and to make every transaction as smooth and seamless as possible. Kathy has four children ranging in age from high school to young adult, and one grandchild. 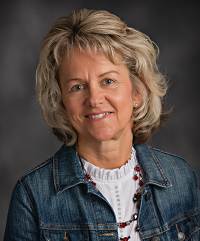 Her interests are traveling, snowmobiling, boating, fishing and spending time with family and friends. Are you looking for a REALTOR® who pays attention to your individual needs and goals? Look no further than Kathy Snyder. Jordan Duffy is from Rochester, Minnesota. As a young boy he loved to vacation to the Northwoods, enjoying activities such as golf, fishing, and snowmobiling. Jordan moved up to the Hayward area in 2006 with his parents Sean and Terry as a permanent resident, and has never looked back. Prior to his career in real estate, Jordan was the assistant golf professional at Hayward Golf Club. 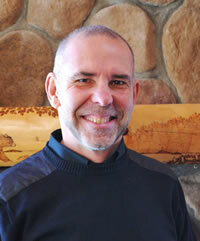 He has a vast network of great people he has met while working in the golf industry. Jordan still enjoys getting out in the summer to play 18 holes weekly. 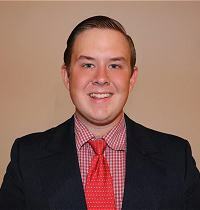 Following in his mother's footsteps, Jordan began his career in real estate by getting his license in 2016 and joining the Century 21 Woods to Water agency in 2017. He is a licensed drone pilot through the FAA, a skill which will certainly enhance his capabilities to showcase your home or property. Jordan also works seasonally in dock and lift installation, pulling out and putting in more than 150 docks and boat lifts every year, which has made him very knowledgeable of the many lakes in the Hayward area. Jordan's quick smile and eagerness to learn makes him a great addition to our Century 21 team and a realtor who you can count on for many years to come. Caroline Gerdes moved to Hayward from the Twin Cities area at a young age. Her parents bought a cabin on Lac Courte Oreilles and loved it so much they moved their family to the Hayward area permanently. Prior to joining real estate, Caroline graduated from the University of Minnesota in 2011. She then moved to Chicago and worked downtown at a Commercial Real Estate Firm for 5 years. During her time in Chicago, she gained marketing, advertising and design experience. Caroline would take the lead role in designing marketing materials for commercial properties for sale or lease. Caroline also has a proficient understanding of modern technology and knows the power of social media. She is eagerly ready to share her knowledge and implement that into her real estate practice in Hayward. In addition to being an agent, Caroline and her husband run Spider Lake Lodge Bed and Breakfast on beautiful Spider Lake. She specializes in impeccable customer service skills with booking clients for the lodge, hosting private parties, and recommending great area attractions and restaurants to keep her guests always coming back. Caroline makes it a priority to make sure she goes above and beyond when it comes to her client’s real estate needs. Her readiness and positive personality make her a great addition to the Century 21 team! Jim feels fortunate that he has called Hayward home his entire life, except for a stint in St. Paul, where he attended Hamline University. After graduation, Jim entered the real estate field, first as a Licensed Appraiser, then as a Sales Associate for Risberg Real Estate. During this period, Jim worked hard to build his sales resume, while also expanding the company’s home-building sector and appraisal business. He joined Century 21 Woods to Water in June 2017 as he saw the potential for increasing his business by utilizing the power of our franchise and the many resources it has to offer. Having fished and hunted the Hayward area for many years, Jim is uniquely familiar with our area and what makes it great. It would be Jim’s pleasure to introduce you to the greater Hayward Lakes area. 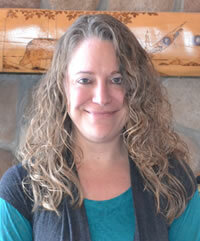 Kelley is a native of Chippewa Falls, but has lived in Hayward since 2001. During her childhood, her family had a cabin here in the “Northwoods,” and now she feels extremely lucky to call this vacationland area her home. She was a Realtor in the Hayward area from 2004-2008, and co-owner of a construction company for 10 years, and has therefore retained relationships with many local professionals in these areas. She is excited to be back in Real Estate, joining the Century 21 team. Together with her prior Real Estate, Appraisal, Construction and Sales experience, she’ll make a great addition to Century 21! Kelley has a 10-year-old daughter. Together they enjoy hunting, fishing, biking, snowmobiling and spending time at their cabin on the Chippewa Flowage. Whether you are buying or selling, contact Kelley today, and let her professional expertise and knowledge of the area work for you! Amy is a lifelong native of the Hayward area. She and her husband were both fortunate enough to be raised in what they consider to be “God’s Country.” After graduating from college, they moved back to the area to work and raise their family. 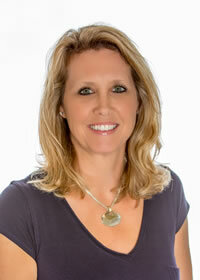 Amy launched her real estate career with Hayward Lakes Realty in 2003 and worked in the industry until 2008. She took a break from real estate to focus on her active family and on her established career in the medical field. Having worked for more than 25 years in the medical community, Amy has learned how to be patient, detail-oriented, and proactive and how to be a strong advocate for all her patients. As your Realtor, Amy will be an advocate for you. Having lived and worked here, Amy has an intimate understanding of the Hayward area and what makes it so special and captivating. Sellers will find that she will work on your behalf to obtain the fairest price, in the least amount of time. Buyers will find that she will work hard to find you just what you are in the market for. Amy has been actively involved in our community, having served on several local boards including the Hayward Hockey Club, Grace Lutheran Church and the Hayward Foundation for Educational Enrichment. In her free time, she enjoys home improvement projects, restoring furniture, gardening, and spending time with her large extended family. Kelley grew up in northern Minnesota and western Wisconsin. She was thrilled to move to her cabin south of Stone Lake in 2007, as she has always loved northern Wisconsin for its natural beauty and many area lakes. She enjoys the friendliness of its residents and diversity of outdoor activities. Kelley has an extensive background in the real estate industry. She obtained her real estate license at a young age and practiced real estate in western and north-central Wisconsin. During that time, Kelley also managed a real estate office and worked part-time in newspaper advertising sales. After moving to the Hayward area, she worked for seven years as a supervisor for a local propane company. Kelley opted to return to the real estate industry by joining Century 21 Woods to Water Realty in 2014 as its office manager. Kelley prides herself on being efficient and detail-oriented. She looks forward to aiding in the growth and expansion of Century 21 Woods to Water Realty by offering cutting-edge technology for its customers and clients, providing a welcoming office environment and assisting the agents to make Century 21 the area leader in the real estate market. New to our staff in August 2018 and serving as one of the Office Managers is Sara Priester. Sara and her husband Brian recently moved from Michigan and have finally fulfilled their dream by making their lake home on the Chippewa Flowage of 16 years, their full-time home. 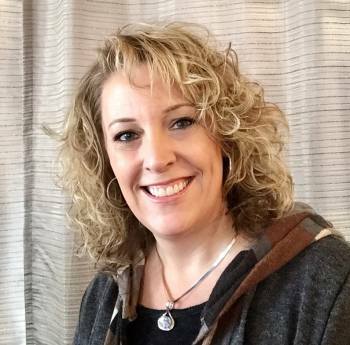 Sara has most recently been a full-time Realtor in the Lansing and Detroit, Michigan, areas for the past five years. 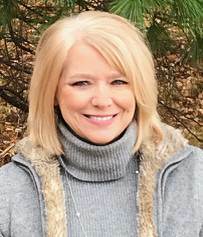 Prior to that she owned her own marketing company for seven years and has held multiple advertising sales positions for two metro newspapers and an advertising firm. Sara, Brian, and their three grown children love the beautiful nort woods of Wisconsin and the many outdoor activities the area offers. They are looking forward to life in Hayward and getting involved in the community.